The Patient Protection and Affordability Care Act (PPACA) was signed into law March 23, 2010. The companion bill, the Health Care and Education Reconciliation Act, was signed into law March 30, 2010. 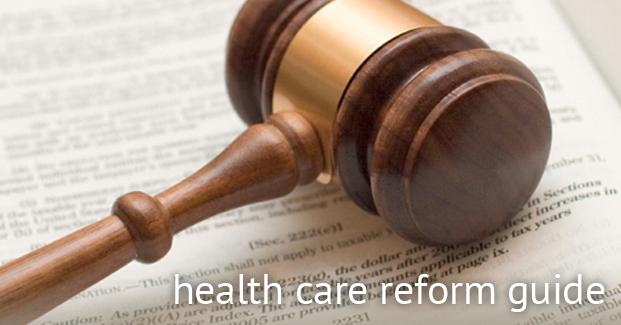 Together, these two laws constitute the new Health Care Reform law. The impact of this law is far reaching. The links below provide information on the implementaiton of the PPACA and are intended as a helpful educational resource. Content in the sections below may link to the Health Care Reform website belonging to our sister organization, MDA Insurance. Information & tools to assist employers in meeting the requirements under the new law. Employees will also find helpful information & answers to FAQ's. Information from the IRS & the Department of Health and Human Services to assist you in understanding & implementing this legislation. Informative articles that bring an Member Insurance Solutions perspective to the largest piece of legislation passed in decades. The information contained in this website is based on a review of national health care legislation conducted by MDA Insurance and is not intended to be legal advice. Interpretation of this legislation varies. It is recommended that you seek the advice of your own counsel as to how the national health care legislation affects your particular situation.